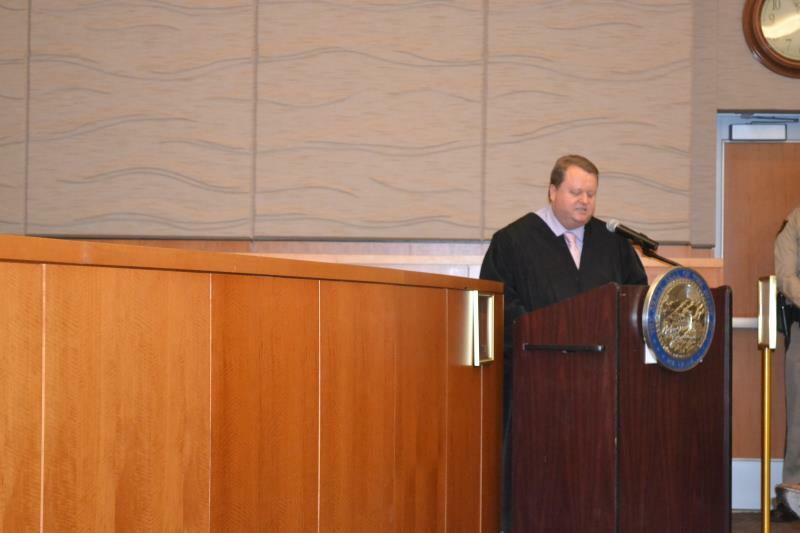 At a January 11th investiture ceremony, before family, friends and colleagues, Judge Mary Kay Holthus and Judge David S. Gibson, Jr. swore an oath to uphold justice in the Nevada Eighth Judicial District Court. Each judge selected two speakers who shared personal stories with insight, heartfelt moments and humor. Chief Deputy District Attorney Bernard “Bernie” Zadrowski and Assistant District Attorney Robert Daskas spoke on behalf of Judge Holthus. 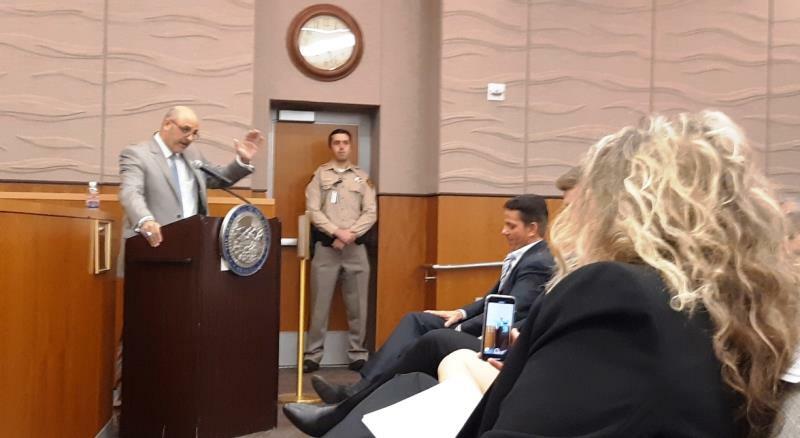 Moapa Justice Court Judge Gregory S. Mills and District Court Judge Frank Sullivan spoke for Judge Gibson who was sworn in by his father Henderson Justice Court Judge David Gibson, Sr. District Court Judge Doug Herndon administered the oath to Judge Holthus. 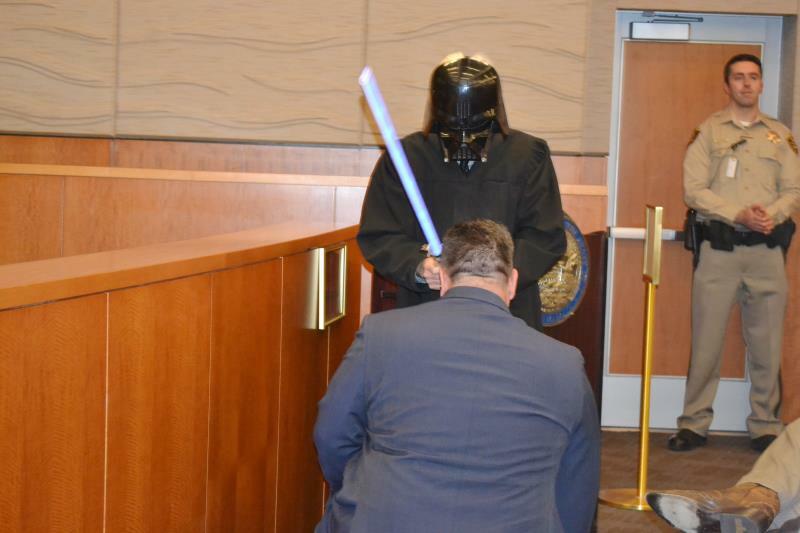 Judge Sullivan brought down the house when he suited up as Darth Vader with a light saber, to accompany his Star Wars themed speech for Judge Gibson, who, according to Judge Sullivan, is a super fan of the movies. Judge Mary Kay Holthus is serving in District Court Dept. 18 in Regional Justice Center courtroom 3F with a civil/criminal docket. 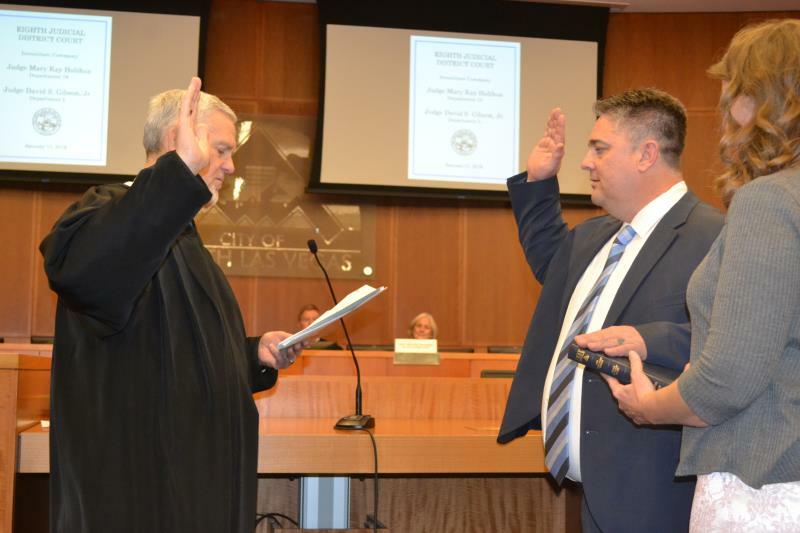 Judge David S. Gibson, Jr. is serving in District Court Dept. L in the Family Division at Family Court in courtroom 6. Mary Kay Holthus received her law degree from Villanova Law School. 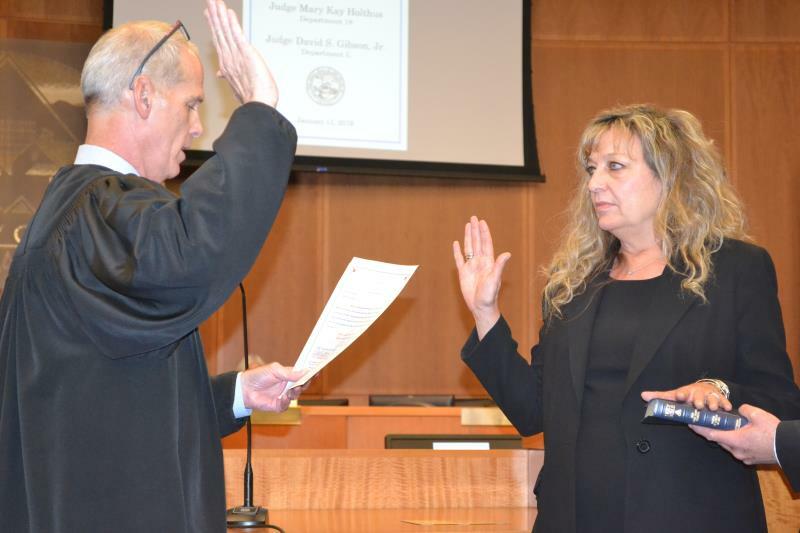 She takes the District Court bench after more than 27 years of service with the Clark County District Attorney’s Office. She began her law career as a summer law clerk at Rawlings, Olson & Cannon in Las Vegas. After passing the bar, she worked as an associate at Jones, Jones, Close & Brown. In March, 1991, Mary Kay joined the Clark County District Attorney’s Office, where she rose to the role of chief deputy district attorney. After several years of general litigation, Mary Kay joined the Crimes Against Women and Children Unit where, for 16 years, she sought justice for victims of sexual assault, child abuse and domestic violence. Judge Holthus is a devoted spouse and mother of three children. 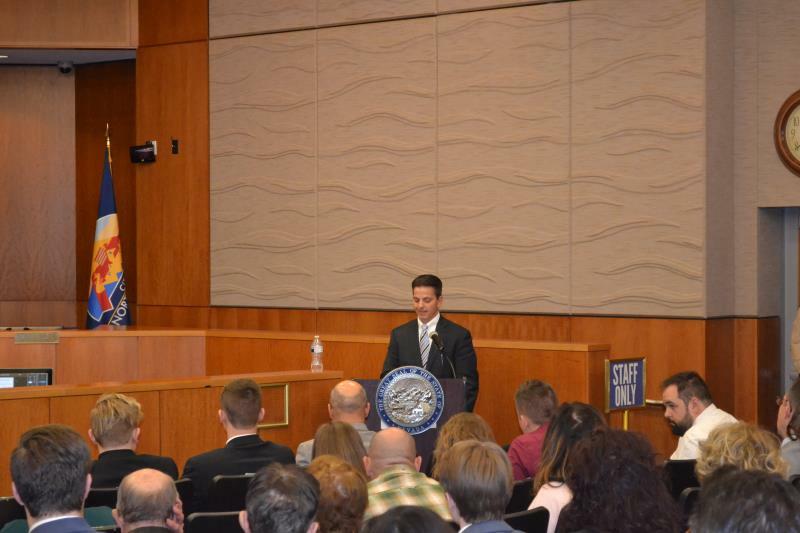 Prior to David Gibson Jr.’s appointment by Governor Brian Sandoval as District Court Judge, he served for six years as a dependency hearing master, hearing abuse and neglect cases in Family Court. 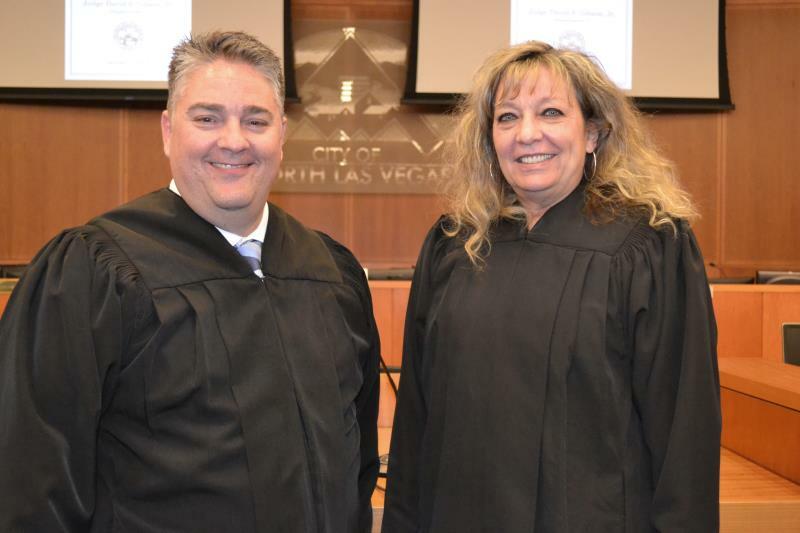 Judge Gibson is a life-long resident of Henderson, Nevada, who graduated from Basic High School, the University of Nevada Las Vegas, and the William S. Boyd School of Law. He also worked as an attorney in the firms of Rands, South and Gardner, Mills & Mills, and Gibson Law Offices, LLC.